I couldn't resist the title. There were all sorts of puns I could have used for this one. As promised from Drummer's little cowboy snap suit, I've put together a snap tutorial. I've had a love/hate relationship with snaps, but they, in the end, have won me over, after I learned their wily ways, which I will share with you. So. 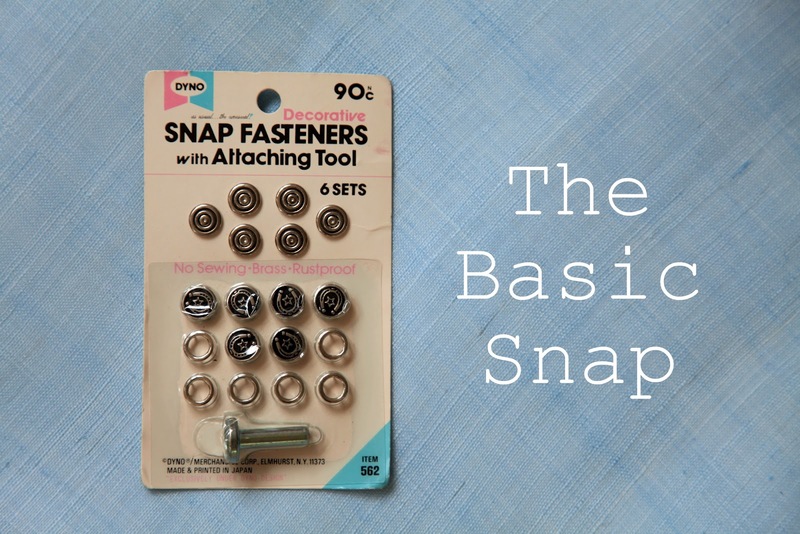 We will start with the basic snap that requires no extra fancy tools. I like these because they are super simple to use. The only drawback is you can't use them on a whole lot of layers. Each side has a prong half that will fit into the piece. Pretty straightforward, just make sure the prongs are all inside the opposite circle. Both halves are applied in the same way. Sometimes they come with a fancy little tool, but you can use a sturdy spool of thread, fitting the snap center in the hollow of the spool. Hammer lightly, but straight down, not at an angle, until it is securely fastened, like your airplane seatbelt. If you find your snaps don't stay on, either you're not pounding it hard enough, or you have too many layers for the prongs to go through. 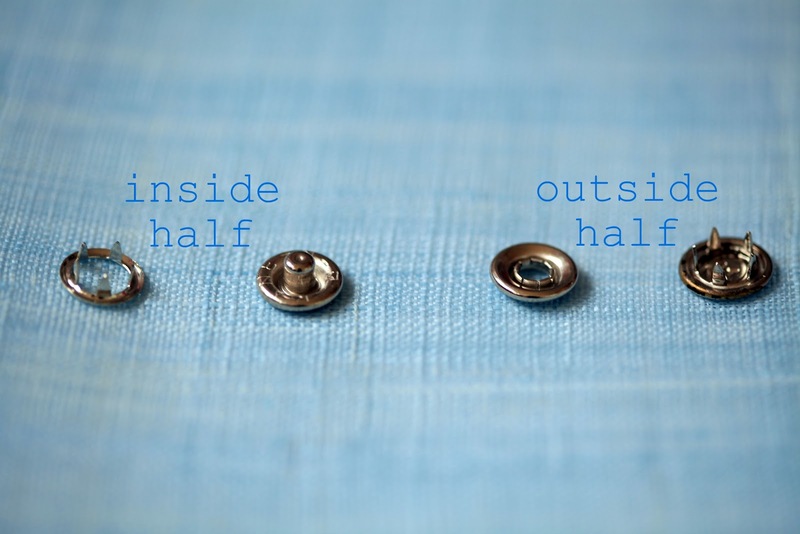 If your snap won't stay snapped, lightly tap the stud part of the snap with a hammer (this works on commercially made clothes as well). This will broaden the stud and make it stay put! 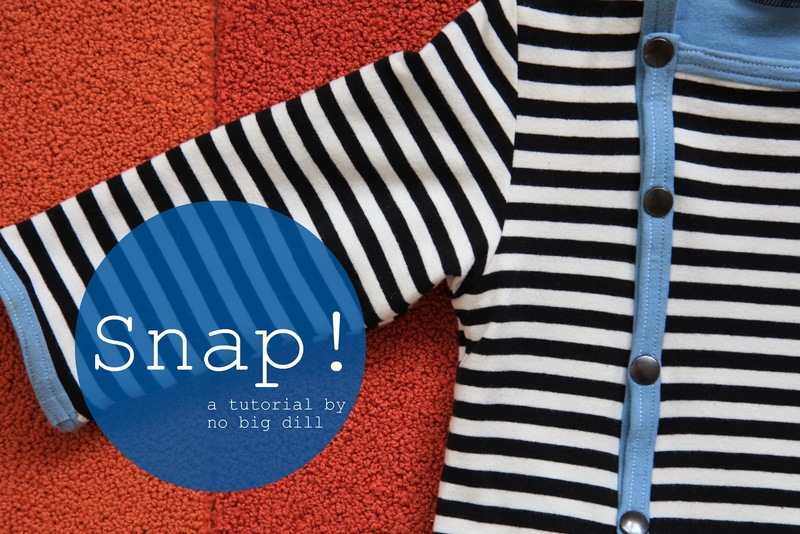 Next is the Anorak Snap. I like these because you can use them on thicker layers. They are a bit trickier to attach but they are super strong. Notice that you need to have the corresponding SIZE tools. Don't try to make it work with anything else. These are the tools. When I first pulled out the piercing attachment I thought, there's no way this little thing will cut through 5 layers of knit. Not only did it puncture all layers, but it went all the way through the protective disk! Oops. 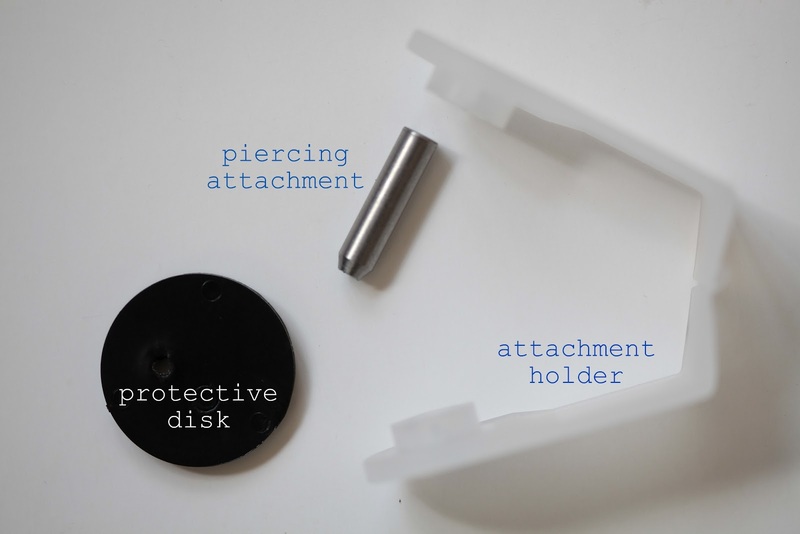 You will be using the attachment holder in each step of this process. The Anorak snaps also have 4 pieces. 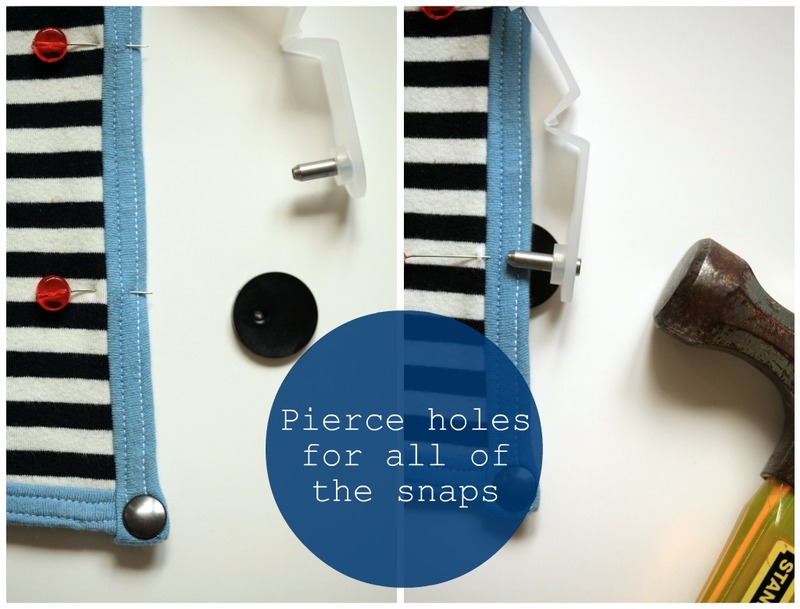 Start by marking with a pin or fabric marker where you want to put your snaps, then pierce a hole using the piercing attachment with the disk underneath, tapping with a hammer and checking occasionally until you've gone through all the layers. 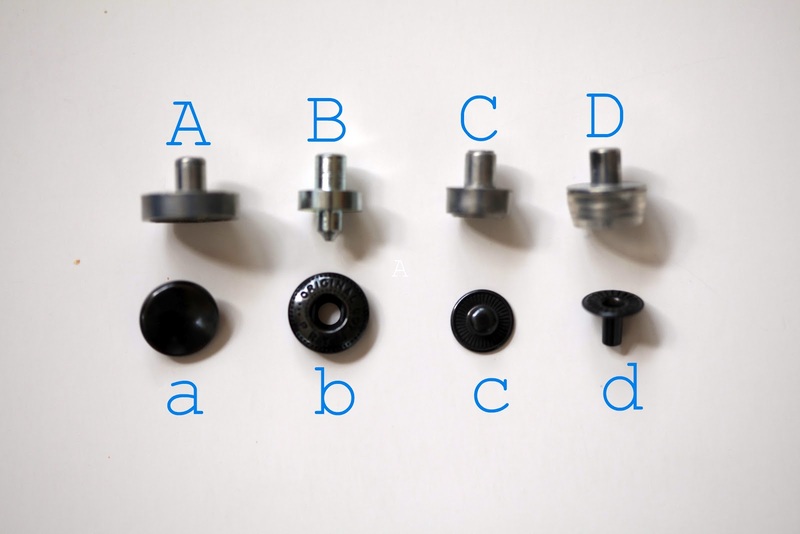 Next, attach the top snap with the rounded portions facing the corresponding attachments. Make sure part b is centered on part B. (Yes, I've italicized and bolded it!) I went through several snaps not attaching properly until I realized this was my problem. Even though it stays on the attachment tool, it doesn't mean it is ready to use. Finally, attach the bottom stud, which is the easiest part. 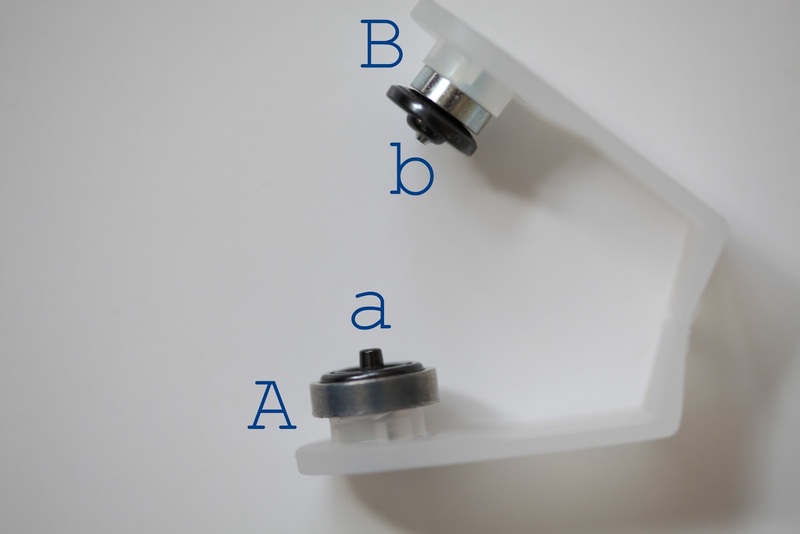 If the upper snap won't stay on, you probably have not centered part b on part B, or you're not hitting it hard enough. If you have a hard time opening the snap, pinch the stud all the way around with some needlenose pliers to reduce the size. I did this on all my snaps because these are really strong! 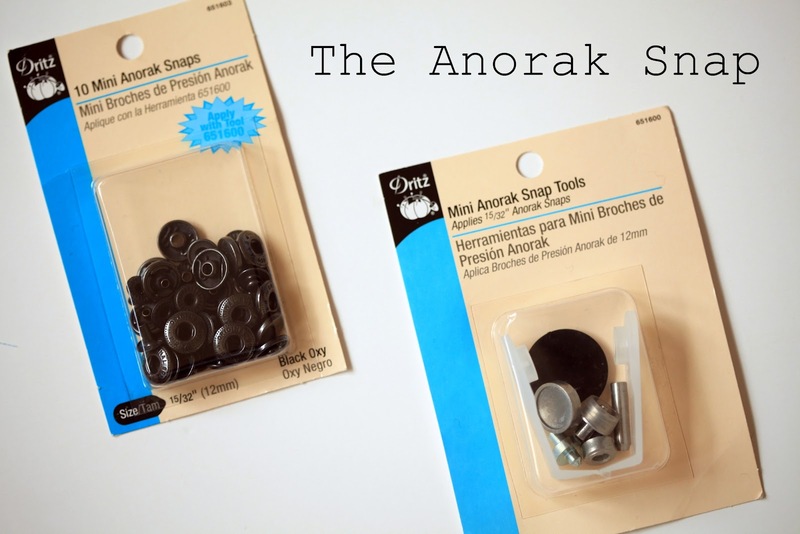 Anouk--yes, the pliers are also another convenient way to attach snaps. That's how I usually do my grommets. Oh thank you for doing this. 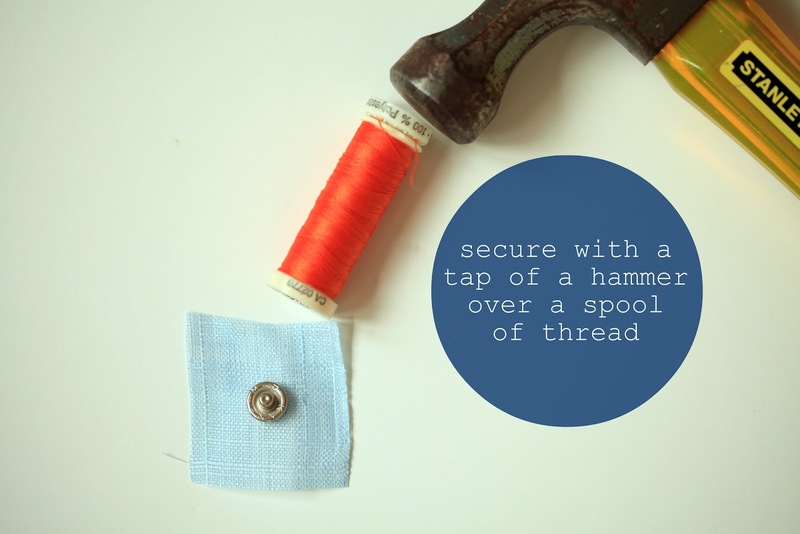 I never knew that all I needed was a hammer and spool of thread. Awesome. Oh! just what I needed! what a great timing. I was about to make a little purse that requires a snap and I still haven't got the snaps neither the tool. Now I have other examples to look at. thanks! I just recently did my first snap project (a few knit onesies), but the snaps are so hard to open and close that I am afraid the fabric will tear. Have you had this problem- any suggestions? Thanks for the tutorial- I love your creations. Leanne--check out the second "trouble shooting" section in the post. !!! Thank you!!! I've had a few fails with snaps, I'll try again, so afraid of punching holes in a finished garment only for it to not work out! What a cute little outfit! I want one! 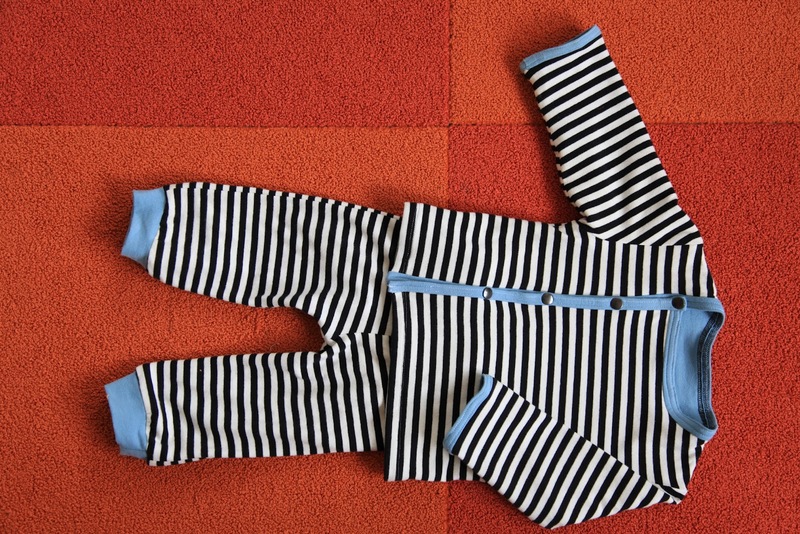 I always get tired of seeing little baby boy clothing with some sort of wording or a badge, or something that's in the way of a basic stripey outfit. Make sense? love the sky blue with the black and white stripes. Nice job, Katy! Thanks Katy! That is really helpful. Sorry I didn't notice that tip before. Yo uso los snaps de plástico y son muy cómodos tanto para ponerlos como para su uso. i love snaps and use them before buttons. i guess maybe im lazy:) i use snap source snaps and their method of attaching them is a little different then the ones you showed. i never knew there were so many different ways of doing it. thanks. and that outfit is adorable!!! I love snaps but I always had problems with the first type. I finally bought a Kamsnap snap pliers with the plastic snaps. They are so easy to apply and they stay put. So worth the $! Oh, Drummer, you are the sweetest!! Love the look! Ottobre pattern is it? And Im definitely inspired to try snaps... buttonholes are my nemeses. Bless you...thank you for doing this tutorial. I am sure I will be referring back to it soon! Love that striped knit fabric. Ooh, I can't wait to try those Anorak snaps. They look so nice on a finished garment. That cardigan is adorable. 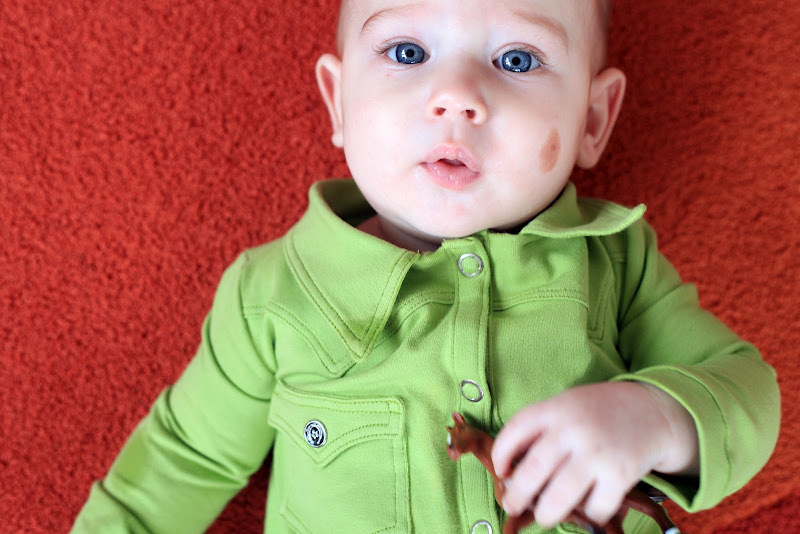 Your little guy is just the most adorable baby I have seen in a long time, just look at his eyes!!! I have had a few fights with snaps- the instructions on the German packaging is fine- no words just odd pictures- but in order to get into the packaging you have to rip off the instructions.... (enter several swear words and general curing) then fight the odd pictures. Yes, I learnt the hard way. And the are so DAMN expensive!! Oh my this is so cute! I just wanted to send you a really big thank you for picking my project for those amazing 75 points..."votes" over on sew-vivor! They got me to the next and final round I am beyond excited to be able to go to through to the end! Thanks again! I am a sucker for snaps but I don't enjoy installing them by hand. So I bought a big ol' snap machine from the SnapStore (very cheap). It is huge and heavy but it comes with die sets and you can install much nicer looking plastic snaps and FASTER. 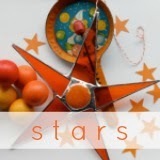 They are lighter and brighter and perfect for cloth diaper and baby clothes making. Thanks for the great tip on getting snaps to stay closed! I have a few 'problem' snaps. Thanks for your post. I have a jacket whose snaps I am trying to match and it has anorak snaps - they say "PRYM ORIGINAL 4GB". Do you know if this indicates the size? This was great help, thank you! Hello I just wanted to Thank You so very much for your time and trouble to do this write up on snaps. I had gotten the snaps on thin leather and what was happening was the snaps were too tight. 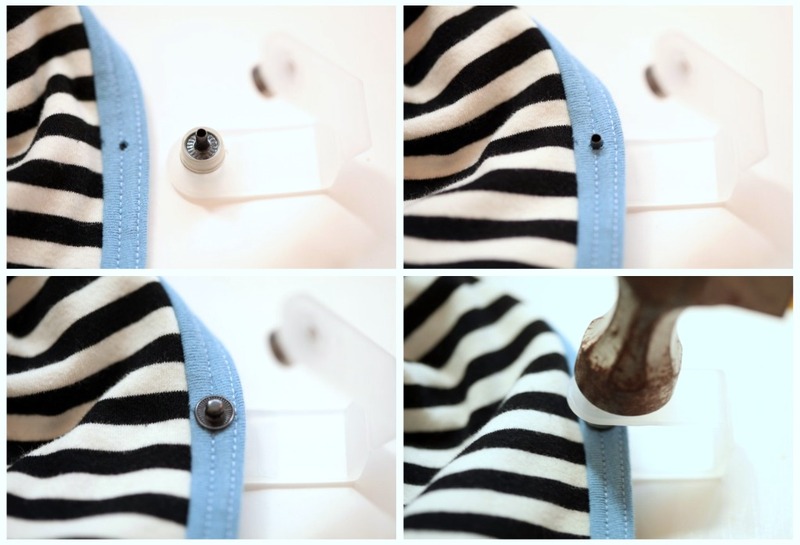 Your tip to go gently around the stud part with needle nose pliers. Worked like a charm to get the snap just right. You saved the day. Time and Money tooo. Thank You.